For over two decades, I've used Andis clippers in my daily work. The Andis Master and T-Outliner have been my primary tools since the first day I stepped into a salon. They are incredibly well made, reliable, and always deliver a smooth cut. Recently, I moved to Los Angeles and began working at a new shop with a different layout than I am accustomed to and often find myself tripping over and untangling cords. In searching for a potential solution, I discovered a new cordless clipper that's designed to combine cordless convenience with the quality and durability I require for daily use in the salon. Below is my review of the Andis Supra ZR Cordless Detachable Blade Clipper ($365). The Andis Supra ZR Cordless Detachable Blade Clipper is a heavy-duty, detachable blade clipper that the manufacturer claims will deliver a two-hour run time after a two-hour charge. The rotary motor clipper features a lithium-ion battery and is designed to cut any hair type, wet or dry. The ZR has five speeds and can run from 1,800-3,800 strokes per minute and comes equipped with an Andis 000 CeramicEdge blade (it also accommodates Andis UltraEdge blades and Oster 76 blades). The clipper also comes with a convenient charging base. The Andis Supra ZR Cordless Detachable Blade Clipper is primarily aimed at professional barbers and stylists, but those who may be inclined to give themselves a buzzcut at home and want a quality cordless clipper, this the ZR would be a good investment. The convenient charging base and stand would allow home users to keep the clipper charged and handy for quick touch-ups. Detachable blade clippers are ideal for those doing a great deal of clipper-over-comb work as the variety of blades can provide different effects and blending. The clipper is also great for smooth buzzcuts and there is a wide variety of clipper blade lengths ranging in lengths from .2 mm (as close to bald as a clipper will cut) all the way up to 5/8 of an inch. The Andis Supra ZR Cordless Detachable Blade Clipper feels great in my hand. It's a bit heavy (at just over one pound), but I like the fact that it doesn't feel like a toy. The clipper is a bit more narrow than my previous favorite cordless clipper (the Andis Ceramic BGR+ Detachable Blade Clipper). Ergonomically, the clipper is comfortable to hold, but some may find it a tad heavy. From a performance standpoint, I've used the clipper on both wet and dry hair and it performs well at top speed. The clipper hasn't pulled hair or jammed once, even in the thickest head of curly hair. Andis says the clipper will run continuously for two hours and that claim is absolutely true. For an eight hour day in the shop, I simply place the clipper on its charging stand between clients and I can easily use the tool for the entire day without loss of power. During a recent St. Baldrick's kid's cancer research fundraiser in Atlanta, we used the Supra ZR for shaving heads during the four-hour event. We shaved over 200 heads and some of our units ran continuously for four hours with only brief times on the charging stands and they did not lose power. The barbers during the event raved about these clippers. If they held up well during four hours of head shaving, they should certainly hold up well during a normal day in a barbershop or salon (I've found this to be true as I'm now using this clipper as my only detachable blade clipper). I also found that the included CeramicEdge blades run much cooler and stay sharp longer than traditional blades as well and the included charging stand is quite easy to use and incredibly stable. The stand includes a very bright (almost too bright) red or green indicator to let you know if the clipper is fully charged or still powering up. I also like that this unit is equipped with a lithium-ion battery, which will not retain memory so you don't harm the battery with a partial charge (which is essential, since you'll be picking up and putting down this clipper frequently throughout the day). I've never been a big fan of clippers with a variable speed option. I've been behind the chair for over two decades and have never needed a clipper to run slower—faster is always better, in my opinion. With the variable speed clippers I have used, I always put the clipper on maximum and leave it there. The reason I specifically don't like it on the Andis Supra ZR Cordless Detachable Blade Clipper is that the added button can be a bit confusing at times and I find myself frequently hitting the speed button to power the clipper on or off which then requires me to re-adjust the speed. That's a minor gripe, however, as I'm sure I'll get used to it in time. There are also parts of the housing that feel a little cheap (especially the panel right around the blades). That said, the rest of the clipper feels so solid that it is not a big issue for me. Since the clipper retails for $365 (you can also find it for about $250 on Amazon), it may be a bit pricey for some and I would have loved for Andis to have included another blade or two, but based on my testing of the clipper, I think the price and quality are fairly well balanced. As I mentioned earlier, this clipper has become my favorite detachable blade clipper. 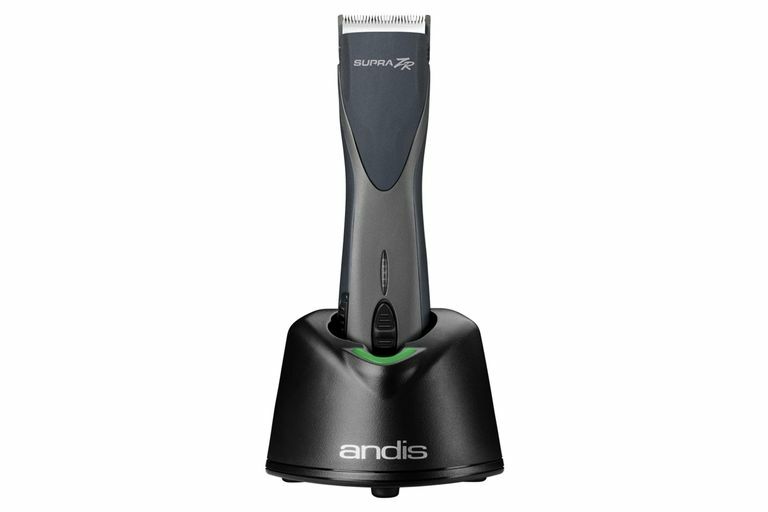 I highly recommend the Andis Supra ZR Cordless Detachable Blade Clipper for those who are looking for a heavy-duty cordless clipper which can withstand constant use in a barbershop or salon. The clipper performed exceptionally well and I have never found it to lose power, even under heavy use in the barbershop. I'm adding this to my list of best haircutting tools for professionals, but this would also be a great (although expensive) option for those looking for a general use clipper at home. DevaCurl Decadence & SuperCream for Super Curly Hair Is Here! 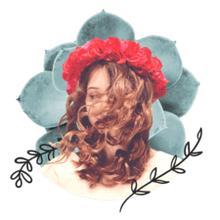 The InStyler Rotating Iron: Worth It?